So I saved the best for last today. The quickest card to make and the one that brings the biggest smile to my face. 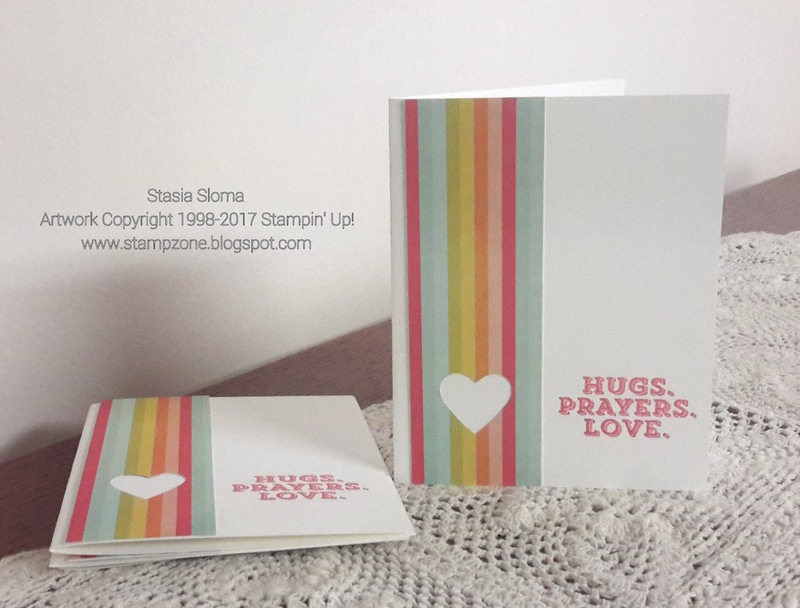 Is it the rainbows, the sentiment or the fact I made four cards in no time at all. The designer series paper made the card. It is from Simple Stories Sunshine and Happiness. Need to get more!!! The heart was die cut. The sentiment was stamped from the Sending Thoughts stamp set in Primrose Petals ink.